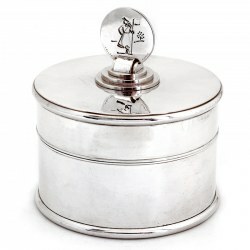 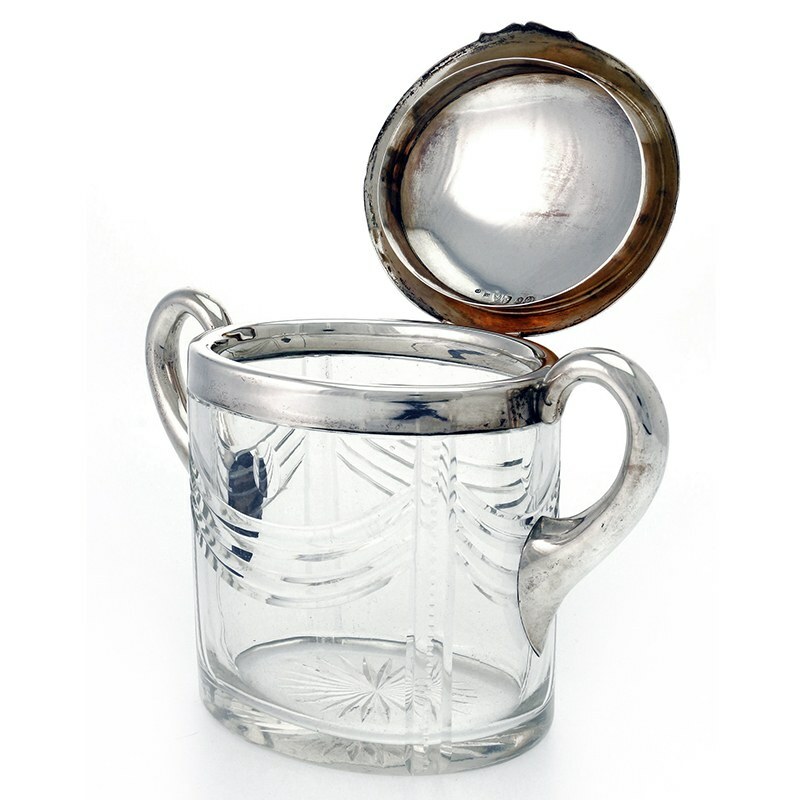 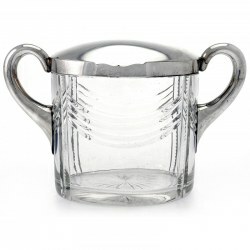 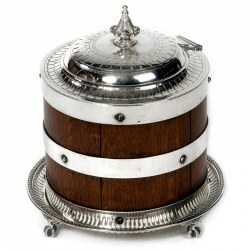 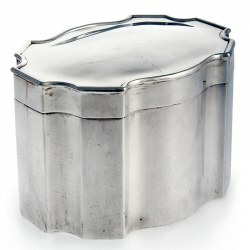 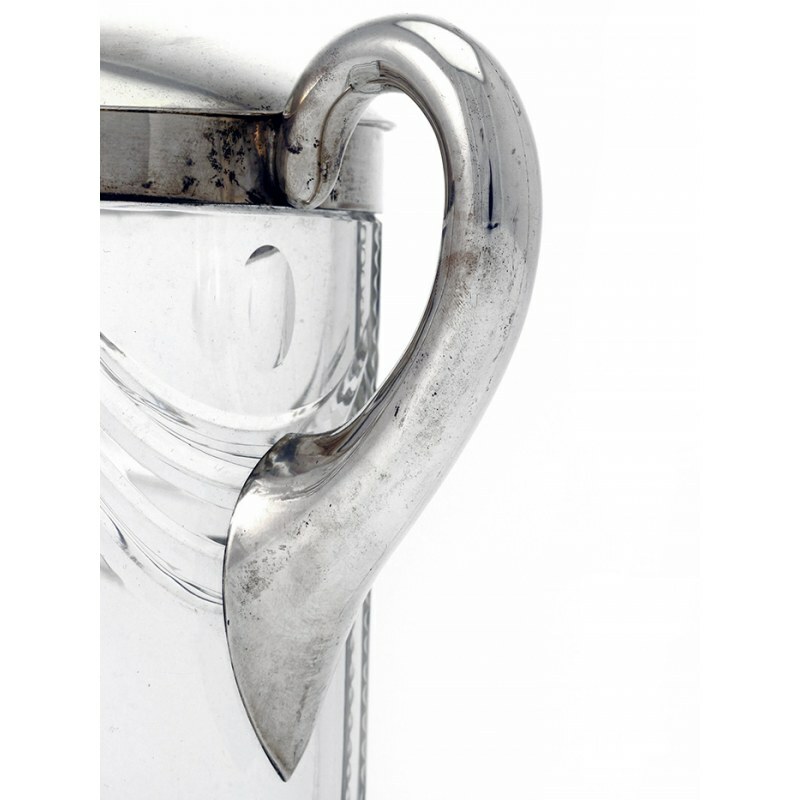 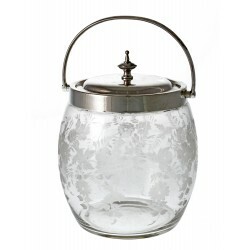 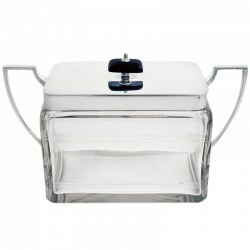 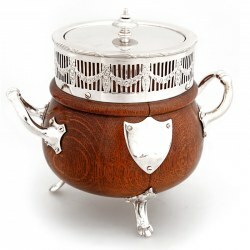 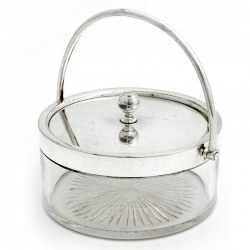 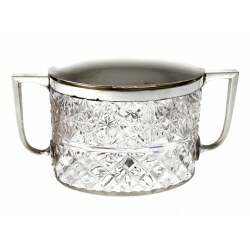 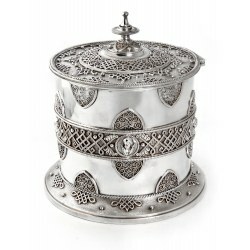 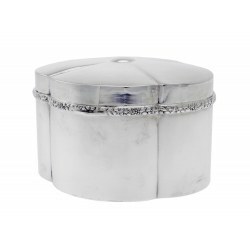 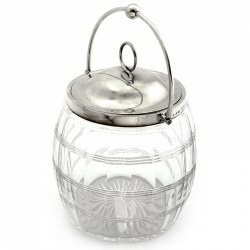 A stylish oval German 800 grade silver and glass box with a plain domed lid and two curved circular handles. 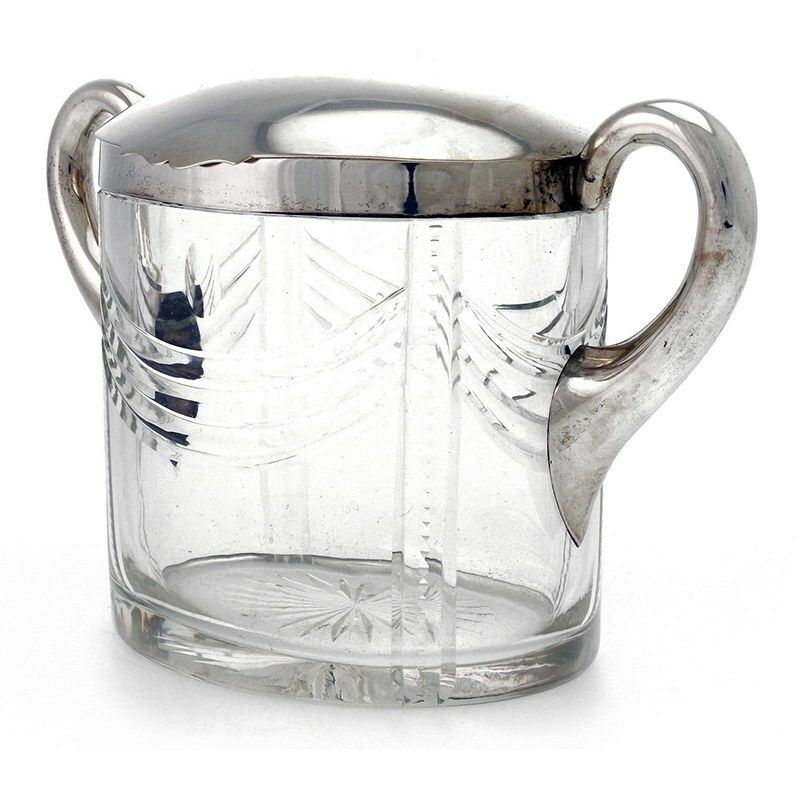 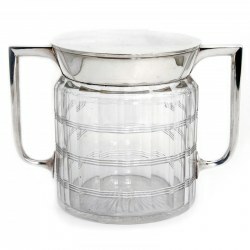 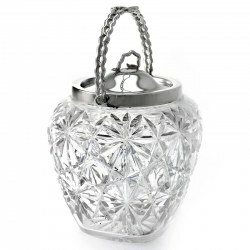 The clear glass has an Art Deco style cutting on the body. 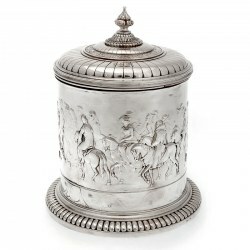 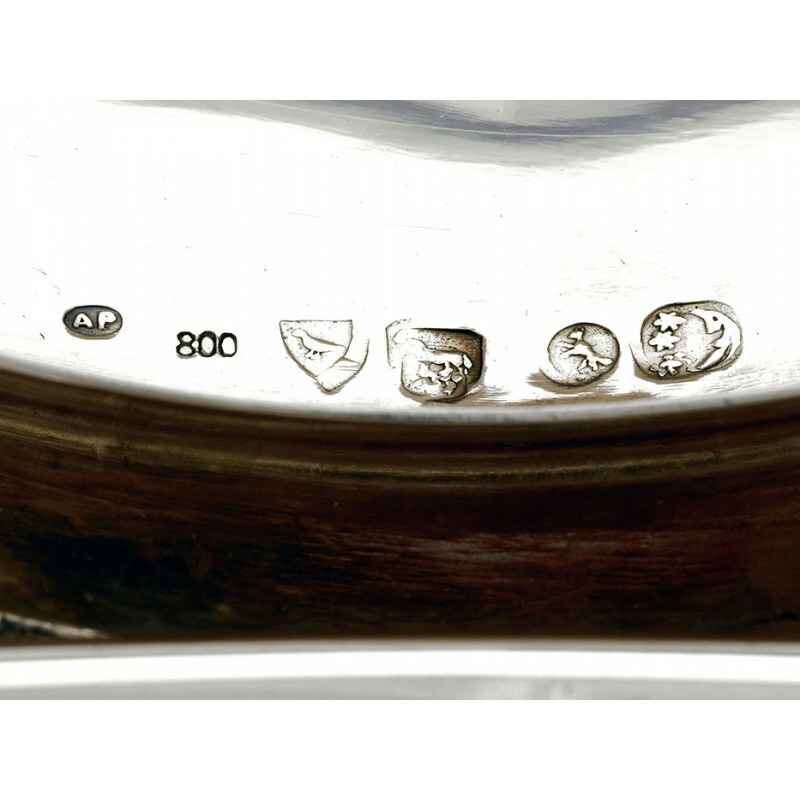 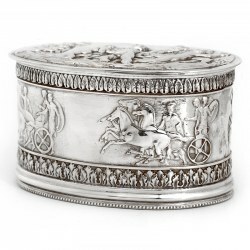 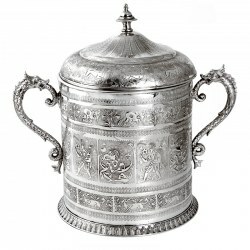 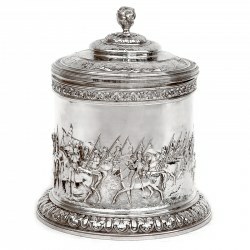 This piece has an amazing set of silver marks.